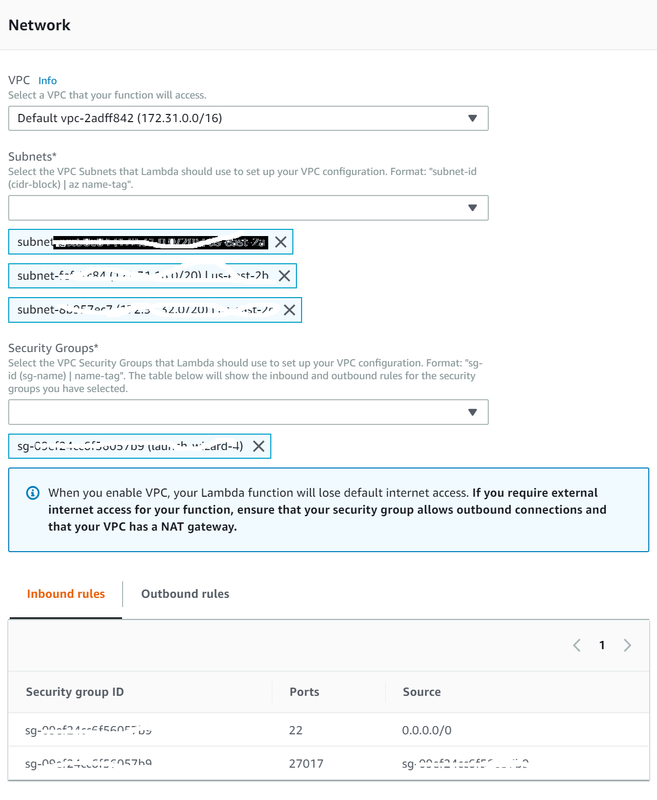 You should enter the subnets in your VPC (which is used by your lambda function) to the security group. Not the answer you're looking for? Browse other questions tagged mongodb amazon-web-services amazon-ec2 aws-lambda or ask your own question.